When I had a visit to the Metro Centre Body Shop (pulse) to see the lovely ladies at the store, I was introduced to something that really got me realllllllllly excited. 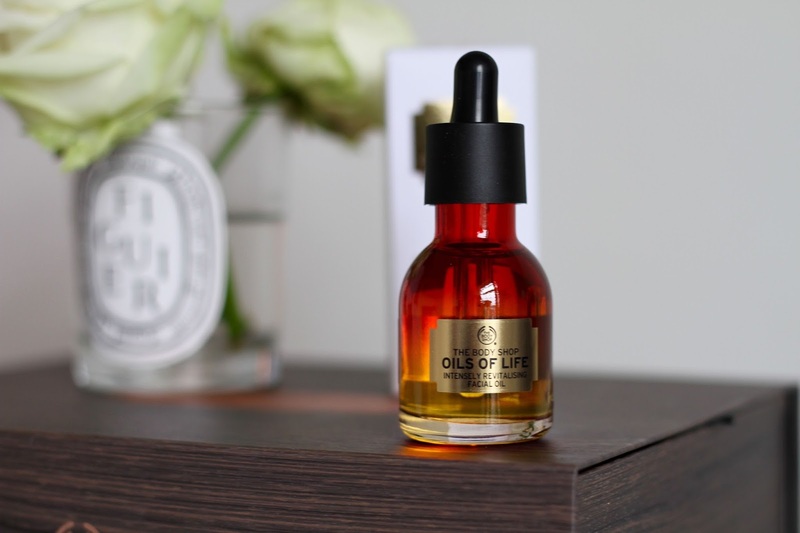 I can now announce to you all, the brand new Oils Of Life Collection. 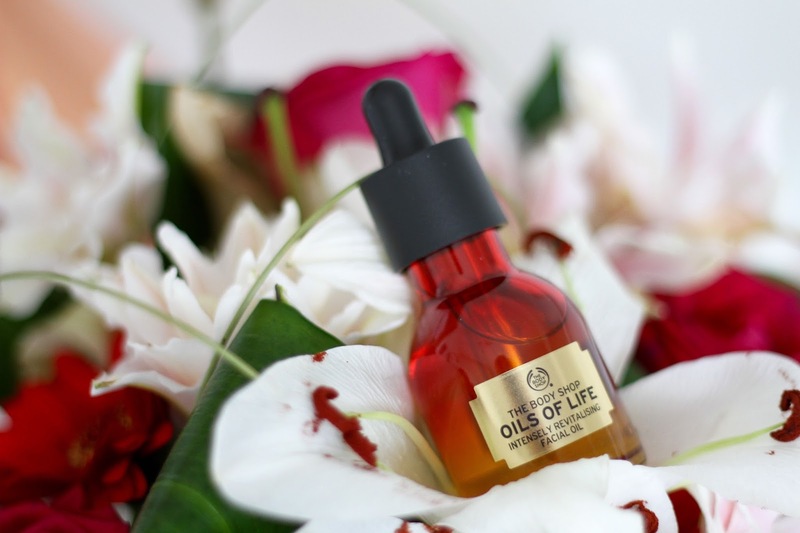 Now just like their Spa Of The World products, the Oils Of Life Collection uses high quality ingredients, luxury packaging and most importantly, makes a huge difference to your skin. The collection isn’t available to mid September so keep an eye out at your local Body Shop. 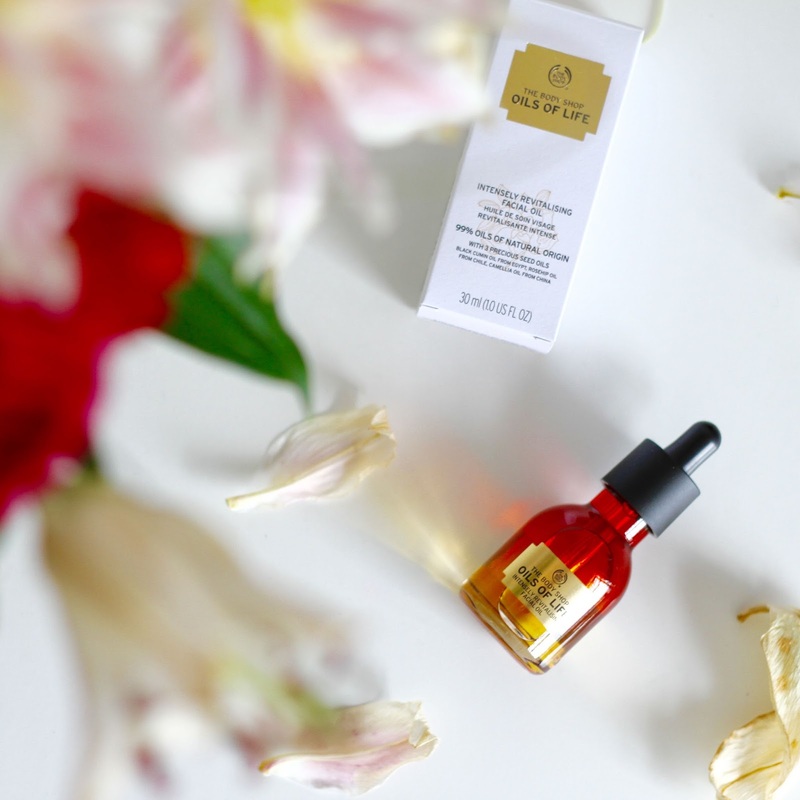 I’ve been lucky enough to get my hands on their Intensely Revitalising Facial Oil, and I absolutely LOVE LOVE LOVE it. The oil is designed to instantly smoothen the skin, keeping it intensely nourished. With frequent use of the oil, skin will appear firm, rejuvenated and more elastic. This is the perfect product to fit right into your evening skincare routine. There will be more products released with this range including a moisturiser which has a similar texture to their Vitamin C Glow Boosting Moisturiser. For you ingredient lovers out there, I can tell you it contains Rosehip Oil from Chile, Camellia Oil from China and Black Cumin Oil from Egypt. Using these three seed oils, it keeps the formula pure and concentrated therefore it preserves itself longer and maximises the benefits for your skin. Another release is their Black Musk fragrance. All I can say about this is it smells absolutely unreal. Unlike the Red Musk which was previously released last year, this has a more floral scent to it, yet it remains unisex just like the Red Musk. This is exciting news for The Body Shop and their customers so keep an eye out for these to hit the shelves. Are you excited for these releases?